The Big Easy is probably my favorite city in the United States. 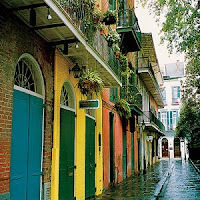 With a certain funky flair and casual European elegance, New Orleans is the perfect destination for a weekend trip. You will quickly find that it is not just the amazing food, gorgeous homes, or great museums that make this city such a jewel, it is the people. A vibrant and eclectic mix of cultures have blended together over the years and the spirit of NOLA's citizens is joyful, resilient and contagious. I highly recommend visiting during Mardi Gras (ask me for tips for "The Greatest Free Show on Earth", as I have many) but it is fabulous anytime of the year. Ride the streetcar down St. Charles. Damaged during Hurricane Katrina, the streetcar has fairly recently been put back on the tracks and is a delightful mode of transportation and great way to admire the grand old Southern homes in the Garden District and Uptown. After the ride, head over to Magazine Street for an afternoon of shopping in the numerous design, art and clothing shops and galleries. 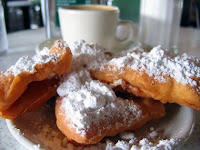 Eat beignets and drink a cafe au lait at Cafe du Monde. Yes, it is a tourist hot spot but for a good reason- it is a New Orleans institution. Open 24 hours a day, go as early as you can drag yourself out of bed and plan on sitting and watching street performers in Jackson Square and getting powder sugar all over your face. Afterwards, take a stroll through the fabled Quarter. It is magical before the crowds arrive and you get the sense that it is a neighborhood, not just a drinking destination. Oh, but drink we must! We are taking about New Orleans after all! Have a Pimm's Cup at The Napoleon House, which is home of the Sazarac and New Orleans finest Pimm's Cup. 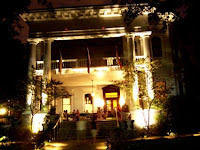 Be sure to visit the charming and haunted Columns Hotel in Uptown for a drink on the front porch. And of course, you can always have a good time at Pat O'Brien's with a giant hurricane is in hand. Eat delicious Cajun and creole dishes. I highly suggest the jazz brunch at Brennan's. It is a fantastic three course meal that is best enjoyed with either a Creole Bloody Mary or a Brandy Milk Punch- maybe both! A meal at Mother's is a fabulous thing indeed,but for a bit more of a local experience, go to just about any corner market that you see and get a muffaletta or Po'Boy. Give back to the city that has given so very much. Many hotels offer volunteer packages and spending just a few hours helping to build a home in the Musician's Village or working with Volunteer New Orleans would make a tremendous difference. This entry was posted on 6:32 AM and is filed under New Orleans , Travel tips New Orleans . You can follow any responses to this entry through the RSS 2.0 feed. You can leave a response, or trackback from your own site. 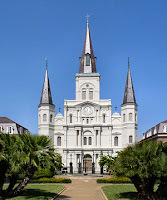 While working for the airlines many moons ago I would go visit New Orleans often. I love eating at Brennan's. Thanks for a wonderful post. I didn't know that about the hotels having special offers. Thank you for this post. I so love New Orleans and also feel that it has the best citizens. I am thrilled that it is "coming back" and love your choices that you wrote about. I adore New Orleans and its vibrant culture. Luckily one of my best friends lives there. Magazine Street is fabulous!! Pop into Sucre for their cupcakes- edible art! Thanks for the great tip about Sucre. Love the name and will have to try it! I totally agree Molly Lou, that the people are what make this city so utterly wonderful. I have never been to NOLA, but have always wanted to go. Hubby loves it. Maybe someday! You forgot oyster at AJ's. Great post. We love it too! Also dinner at Gallatoire's! Through this post, I am reminded of how lucky I am that I go to school at Tulane and get to experience all of these things whenever! Thanks for the suggestions, I have not been to the Napoleon House for Pimm's cup or to Brennan's! Thanks for the highlights! That is definitely one place I've always wanted to visit! I NEED to make a trip to New Orleans! I'm so glad to see this post. I live 5 minutes from New Orleans and I love it too. There is so much to see here. I like your recommendations. Some of my favorite places to eat are Galatoire's, Antoine's, Bacco, Upperline and August. My favorite store on Magazine is Lili Vintage for upscale vintage clothes. My favorite festival is French Quarter Festival in April. Great post! New Orleans is one of my favorite cities too! 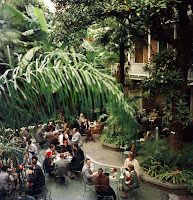 So many lush courtyards & the food is heavenly. We sampled bread pudding at every restaurant we went to. The best is the restaurant at Royal Sonesta, they put a lot of Bourbon on it. The garden district is full of unique shops! Yay, I'm so glad to hear the trolley is up and running again! I rode it before the hurricanes but it was never functioning any of the times I visited afterwards! You do a great job of capturing all that is classy about New Orleans. :) Great post! Wow,that is a real blast, enjoy!